NJPW has announced Rey Mysterio will be making up for his missed match this year at Strong Style Evolved by wrestling at their upcoming Dominion event. 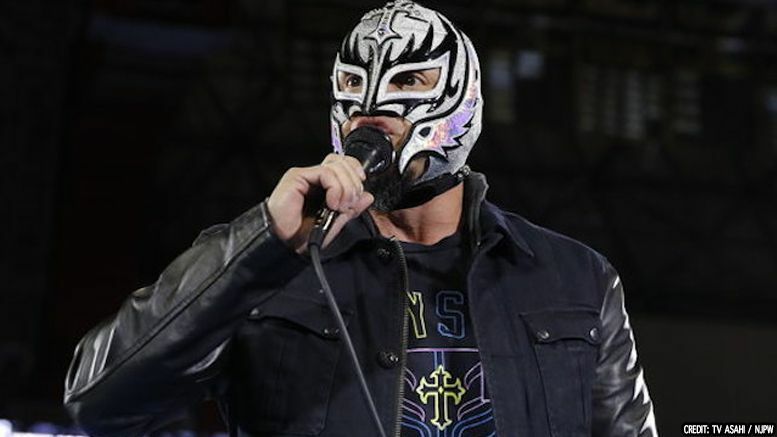 As you may recall, Mysterio was sidelined back in march due to a bicep injury and was forced to miss his scheduled match against Jushin “Thunder” Liger. He did, however, set up possible matches with Liger, Will Ospreay, and Marty Scurll during a post-match altercation. No official word yet on who Rey’s opponent will be.